Flames and V-Twin Chrome: Polished to a high finish for the exhibition. 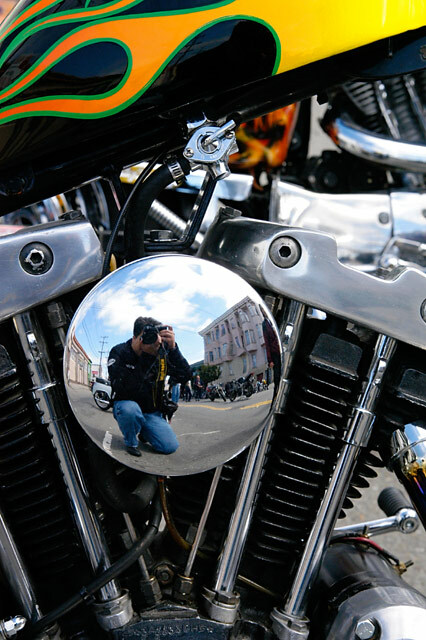 One of the many motocycles on show at the San Francisco Motorcycle Club Centennial Street Fair. Snapped on: June 19, 2004.